It's an all-out pie palooza because March 14 is National Pie Day! Clever you, you've already figured out that today's date, 3/14, also corresponds to a famous mathematical constant you learned in school: 3.14, also known as pi. So it would stand to reason that today of all days is a great day to celebrate something of a similar name, pie. In 2009, the U.S. House of Representatives agreed that yes, America, we should have a Pi Day, although it was celebrated beginning in 1988 at the San Francisco Exploratorium. The staff and visitors would march about a circular space and eat fruit pies. 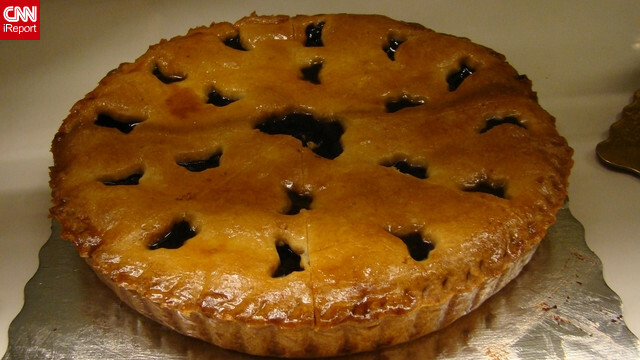 Many iReporters sent in photos and recipes of pies for the occasion.